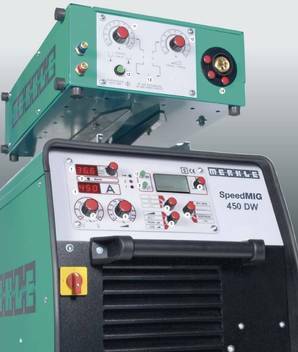 Easy to adjust and a maximum of functions in MIG/MAG welding are the major advantages of the Merkle SpeedMIG 350 K.
button with hold function and.. 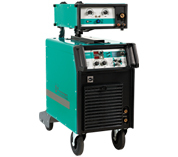 Setting and indication of the energy on the TEDAC® welding torch. 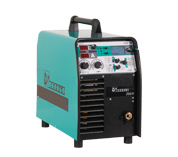 Reproducible welding results due to digital microprocessor welding control. 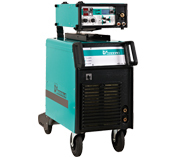 Proven welding programs for steel, stainlesssteel, aluminium, aluminium alloys and MIG brazing. DeepARC and ColdMIG process as a standard. The compact and portable Genius!